Every marketing manager sees the importance of Facebook advertising, and in order for your business to be a success, you also should pay a lot of attention in it. Utilizing our free Facebook ad maker FotoJet, all the complicated steps could be simplified. Even if you are a green hand to this, you can make a fabulous flower store Facebook ad design easily. 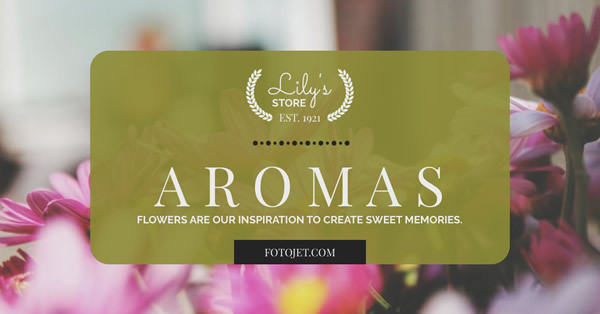 Make this Facebook ad template customized in photo, text, styling, or add lovely clipart images, and this template will become a unique design perfectly suitable for your flower store.